blog from cdbk » Blog Archive » March 1st / bookmark & update. March 1st / bookmark & update. 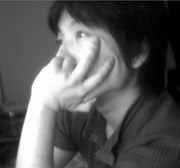 Posted on 2010/03/01 by cdbk | ガジェット, ブログ. Published Microsoft希望の星Windows Phone 7はどうなるか？　戦略も含め勝手に大予想！. Published スカイプ、「Skype for Windows Phones」と「Skype Lite」の提供を終了. Published 『朝会議 @ Apple Store, Shibuya』でPayPalについて勉強した！. February 22nd / bookmark & update.